Prof. Dr. Patrick L. Krauskopf is Head of the Center for Competition and Commercial Law at the ZHAW School of Management and Law. 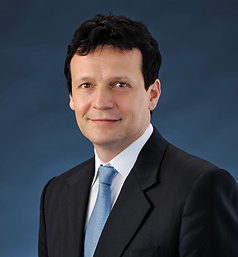 He is also an attorney (Zurich/New York) and partner in the law firm AGON PARTNERS. In the past he worked as a clerk at the Swiss Federal Court in Lausanne and as Vice Director of the Secretariat of the Swiss Federal Competition Commission (COMCO) in Bern. Krauskopf studied at the Universities of Berkeley, California, and Fribourg, Switzerland (Dr. iur. ), as well as at the Harvard Law School (LL.M. ).